Once you have applied and been approved for an Australian Temporary Visa, you may be eligible to purchase real estate while living in Australia. is living in Australia and holds a bridging visa which allows them to stay in Australia until their submitted application for a permanent visa has been approved. What sort of property can an Australian temporary resident purchase? 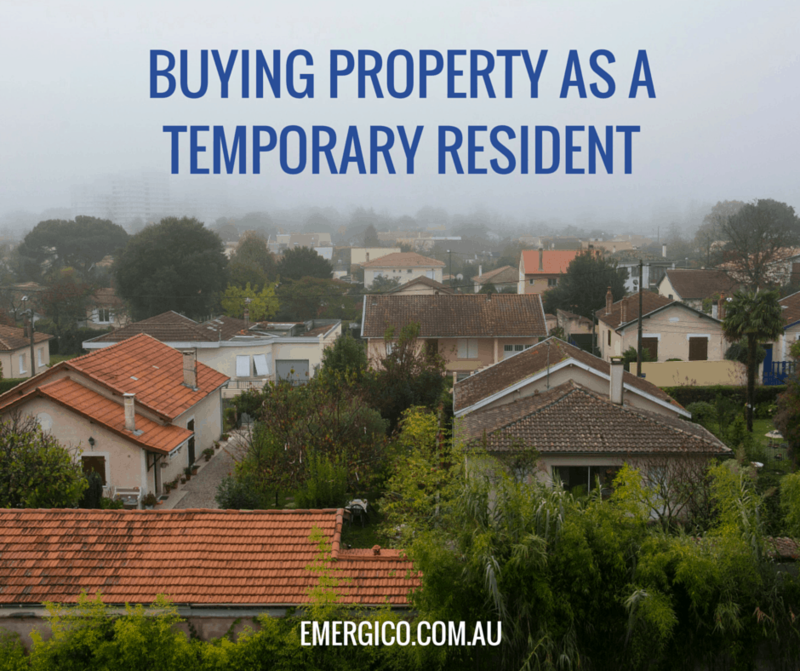 A temporary resident is usually able to purchase one established dwelling on residential land to live in as their place of residence in Australia. In order to purchase this property, they must apply for approval from the Foreign Investment Review Board. Established dwellings can not be rented out, purchased as an investment or used as a holiday home by temporary residents. If you are looking to purchase property for any of these reasons, you will need to purchase a new dwelling. Generally, a temporary resident will be able to purchase a new dwelling (or multiple new dwellings) without being subject to any of the conditions an established dwelling is subject to. Keep in mind that you will still have to apply to the Foreign Investment Review Board before making a purchase. Is there a fee for temporary residents wanting to purchase property in Australia? Yes. These fees are outlined on the Foreign Investment Review Board website and are dependent upon the cost on the property. There are also strict penalties for failing to apply for and receive approval, as well as failing to adhere to the conditions they are subject to depending on the purchase type. Your best source of information is the Foreign Investment Review Board website. They have issued a guide which you can read here. Take a FREE Australian visa eligibility test today to find out how you can migrate to Australia.